JACKSON, Mississippi (AP) — A U.S. Supreme Court decision that gives counties in the South the power to draw their own election boundaries without federal oversight has raised fears that local Mississippi officials will deliberately keep lines that make it harder to elect minority candidates. The NAACP has taken its fight to court to get the lines redrawn but recently lost the latest round of the battle. The 5th U.S. Circuit Court of Appeals on May 16 upheld the dismissal of lawsuits filed by the Mississippi NAACP and others that challenged the results of county elections in 2011, contending the local election boundaries are outdated and don’t reflect population shifts. The group said that using the old maps violated the one-person, one-vote principle by diluting African-American voting strength. Legislative maps have to be updated once a decade to account for population changes, giving more seats to heavily populated areas and taking seats away from areas that have lost residents. Counties must realign supervisors’ districts. The Legislature took care of itself in time for the 2011 election by redrawing House and Senate voting districts. To accomplish that, lawmakers had to push back the deadline for candidates to qualify for elections. The deadline was changed from March 1 to June 1, 2011. But the Legislature didn’t push back the deadline for the counties. And some local officials didn’t seek that for themselves either: Some counties didn’t expect the census numbers to change enough to require redistricting, while others anticipated change — but not enough to cause a problem. 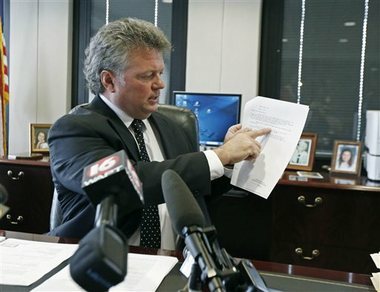 Attorney General Jim Hood and the counties argued local boards could not redraw lines and obtain Justice Department approval within the short time they had between release of the census data in February 2011 and the March 1 candidate qualifying deadline. U.S. District Judge Louis Guirola Jr. in Gulfport sided with the defendants last summer, ruling that there was not enough evidence of damage to minority rights to undo the results of the 2011 county elections. “Despite the time constraints imposed by Mississippi statute, the defendants made every effort to comply with their redistricting responsibilities,” Guirola wrote. The plaintiffs argued the same situation will occur every 20 years, and they will not have time to fully litigate the matter before the 2031 election. Guirola said there is ample time for the Legislature to address and correct similar timing issues before the 2031 election. The 5th Circuit agreed in a May 16 ruling that a new election was unnecessary. “The elections at issue occurred over two years ago, and appellants have presented no evidence that the Mississippi election officials deliberately defied or in the future intend to violate the Voting Rights Act,” the 5th Circuit said. The NAACP has not decided whether it will appeal the decision to the U.S. Supreme Court. Both federal courts also ruled that the case showed U.S. Justice Department preclearance was a primary impediment in the ability of a county to redistrict in time for the 2011 elections. The courts noted that the impediment was removed last summer when the U.S. Supreme Court struck down part of the Voting Rights Act. Under that Supreme Court decision, states with a history of discrimination in voting, mainly in the South, no longer need Washington’s approval before changing the way they hold elections. “This step in the redistricting process has been removed. After the United States Supreme Court’s decision, no county in Mississippi is required to obtain preclearance from the Department of Justice for changes to voting procedures, including new supervisor district lines,” Guirola said.